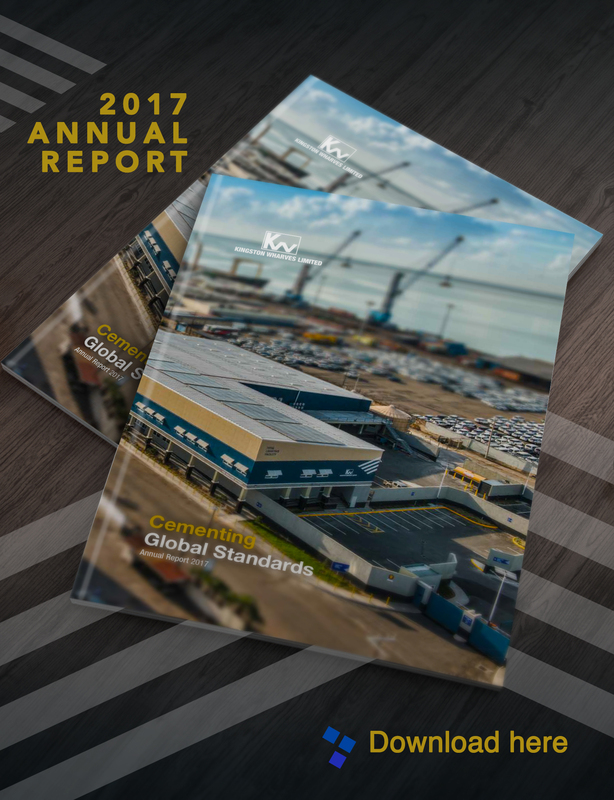 Kingston Wharves Limited Group (KWL Group) has taken a bold step in defining and assessing our performance. In addition to our usual annual performance review, we have completed a comprehensive 5-year performance assessment, a longer-term time horizon that is better aligned to our journey to achieving our vision of Best Multipurpose Port in the World. The Group’s performance can be described as excellent: the results show exceptional financial performance over the period and all indicators are moving in the right direction. The HKND Group reports that by 2030 – just over 16 years from now – the volume of addressable trade will have grown by 240%. The Americas are expected to remain a vital supplier of commodities, particularly energy, to meet Asia’s growing demand. There is, and will continue to be, increasing movement of goods such as coal and LNG on the international market to meet the demands of economies such as China. The total value of goods transiting the combined Nicaragua and Panama Canals will exceed $1.4 trillion, making this one of the most important trade routes in the world. The Caribbean Region, Jamaica in particular, is strategically located to capitalize on this movement. The development of port infrastructure, the expansion of the Panama Canal and the planned Logistics Hub in Jamaica, support this movement. An examination of the KWL Group’s domestic versus transshipment business indicates that opportunities are within the transshipment arm of the business. While revenue margins for domestic TEUs and motor cars handled are greater than their transshipment counterparts, volumes are greater in transshipment and has been so for the last ten or more years. Domestic growth is entangled in the overriding macroeconomic issues and challenges that are beyond the KWL Group. Therefore, our focus must be on growing transshipment business and also strategically diversifying our business to meet the full range of our customers’ needs. To position ourselves to capitalize on the opportunities presented by these trends, the Group has been acting locally but thinking globally for the last 5 years, our world-class vision a clear indication of our commitment to making this strategic shift. The KWL Group accepted the challenge that it was no longer business as usual as the emerging trends meant dealing with more global partners and competitors. The Group’s future would have to be supported by two strategic pillars; local strength with global relevance, driven by a world-class port. THE KWL GROUP’S STRONG FINANCIAL PERFORMANCE OVER THE LAST FIVE YEARS DEMONSTRATES ITS LOCAL STRENGTH – A STRONG PERFORMING BRAND. Between 2009 and 2013, the Group had a sterling performance: revenue increased by 62%, from J$2.6 billion to J$4.2billion; Operating Profit by 117 %, from $693 million to $1.5 billion; Net Profit by 478%., from 145 million to 839million; and Earnings per Share by 321% from $0.14 to $0.59. This is a very commendable performance indeed. Growth in market share in terms of domestic tonnage has been marginal but steady; from 10% in 2009 to approximately 13% in 2013. Against the background of continuing world recession and extreme challenges in the global, regional and national economies, maintaining market share while simultaneously positioning for global relevance is worthy of note. As we indicated in 2011, we have a firm hold on the future and we continue to prove this to be true. The Group’s track record as a responsible corporate citizen is unquestionable. During the last five years we focused on numerous educational and sports activities and initiatives. Sponsorship for 2009-2013 valued more than J$15 million to the Annual Cricket Competition, J$4 million to United Gardens Christian Academy, an early Childhood Institution in Greenwich Farm, and J$2million to Father Ho Lung and Friends. GLOBAL RELEVANCE IN AN ERA OF GLOBALIZATION IS NOT ONLY STRATEGIC BUT AN IMPERATIVE. OUR COMMITMENT TO BEING WORLD-CLASS IN ALL WE DO MEANS THAT WE MUST NOT ONLY HAVE A WORLD-CLASS PORT BUT ALL THE ATTENDING PILLARS: world-class service and operational excellence benchmarked against global standards. We are far along the journey because our people have what it takes and are committed to world-class performance. We have embraced a world-class service vision and have begun to develop our people to deliver on this promise. Customer service training, underpinned by a world-class orientation and customer-driven service standards, was a main focus of people development in 2013. Employees at all levels participated in the series of training modules. To ensure that our operations supported our vision of delivering world-class service, four mobile harbour crane operators successfully completed a 160 –hr. accreditation course for mobile crane operations at the Freeport Container Port in the Bahamas. The team received glowing commendations from the Instructors for their performance, especially Kavelle Campbell who had the highest score ever achieved in this course. Prudent management of cost has been an ongoing component of our strategy to achieve operational excellence. Contracts with multiple fuel, maintenance and equipment rental contractors were consolidated and more competitive and longer term contracts negotiated with some suppliers. Major investment in capital projects and fixed- asset acquisition over the past five years, including cargo handling equipment and terminal management software, (exceed J$3.5 billion) demonstrate the confidence KWL has in its future. The hallmark project, the redevelopment of Berths 8 and 9 to create a modern container terminal complete with gantry crane rails represents 70% of that total spend. The operational and productivity gains have significantly increased the demand and use of these berths to the extent that most of the vessels calling at KWL are now serviced there. Technology has been harnessed to improve productivity and efficiency – integral elements in the transformation of port operations. During the 2009-2013 period, $13.2 Million was invested in Maintenance/Stores, Integrated Payroll and HR Information Systems, all with a view to enabling our people and achieving operational excellence. Our 5-year performance indicates that we are prepared for the future and our 2013 performance cements that preparation. Key performance indicators for 2013 confirm that the Group has a solid foundation upon which the future can be confidently built. The Group achieved a 15.32% increase in revenue from J$3.7 billion in 2012 to J$4.2 billion in 2013. Operating profit increase by 37% – from J$1.1 billion in 2012 to 1.5 billion in 2013. Profit Before Income Tax increased by 42% – from J$809.3 million in 2012 to J$1.2 billion in 2013 and Net Profit (attributable to Equity Stockholders) increased by 53% from J$550.2 million in 2012 to J$839.3 million in 2013. In preparation for the overall upgrading of the multi-purpose terminal fleet, facilities and business processes geared at maintaining the Group’s competitive edge in the region were significantly improved. In 2013, approximately J$461.5 million was spent on cargo handling equipment and terminal management software. Three Taylor Reach Stackers and 6 Truck heads are the newest addition to the terminal equipment fleet. We continued our tradition of demonstrable commitment to our community in 2013 through several activities; chief amongst them a major re-tooling and refurbishing exercise at the United Gardens Christian Academy. The Group is pleased to have extended its sponsorsahip of the National Under-15 Cricket Team in the West Indies Cricket Board’s Regional Competition, hosted in Jamaica. We look forward to a milestone celebration of 25 years in flagship sponsorship of the national Under 15 Cricket Competition in 2014. In keeping with our plans to provide greater value-added services to our clients and accelerate our ability to offer guaranteed standards, the stevedoring operations of Shipping Services Stevedoring Limited (SSSL), a long-standing stevedoring provider on the Port of Kingston, were acquired. This acquisition puts us well on the way to becoming the only full-suite logistics services provider within the framework of Jamaica’s logistics hub initiative. With the mission of being the multipurpose port of choice sharply in focus, we were proactive in pursuing the designation of free-zone status for warehouse space that we intend to develop into a ‘Total Logistics Facility’. THE KWL GROUP IS PREPARED FOR THE FUTURE. Jamaica’s economic recovery is now under way. So said Brian Wynter, Governor of the Bank of Jamaica, during a presentation at the Shipping Association of Jamaica’s Lunch and Learn Seminar in March 2014. Among the key factors that the Governor outlined that should increase the country’s growth potential and keep Jamaica on this path are the plans for shipping and port activities. Referring to the Government’s plan to make Jamaica a logistics hub, the Governor said the shipping sector is at the core of this initiative and, therefore, critical to its success. We fully support the thrust by the Government to enhancing Jamaica’s profile as a competitive shipping destination. However, we are keen on seeing a fast-tracked legislative agenda to facilitate the implementation of a Port Community System (PCS) for Jamaica. While significant progress was made in 2013 in support of its introduction, established laws governing electronic transactions, customs, wharfage and the functioning of regulatory bodies such as the Port Authority should occupy central focus as the work to establish the PCS continues. new norm of a rapidly changing industry and the opportunities that such transformation will bring. Our employees, management and Board of Directors are to be applauded for their performance and ability to navigate a dynamic and ever- changing business and operational environment. THE NEXT TWO YEARS, 2014 AND 2015, WILL BE PIVOTAL YEARS FOR THE CONTINUED POSITIONING OF THE GROUP TO REAP THE BENEFITS OF OUR WORLD-CLASS VISION AND STRATEGIC DIRECTION. Our Diversified Business Model of Port Operations /Logistics, coupled with a Special Economic Zone, means that we will be able to meet the full range of our customers’ needs. The next 5-years will demand even more of our people. The Group will need to leap-step from global relevance to global competitiveness and to be ready for the implications of this – new customers, new service expectations, increased productivity and operational efficiency. We are prepared and are positioned to take full advantage of the opportunities which are being created in the shipping sector in Jamaica, the region, and the global economy.